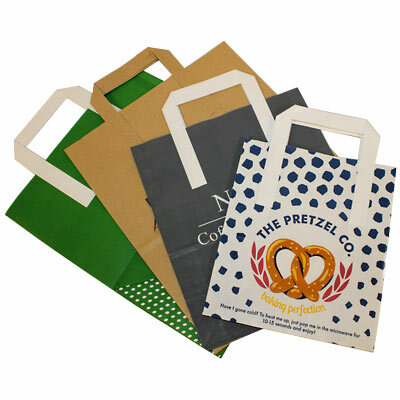 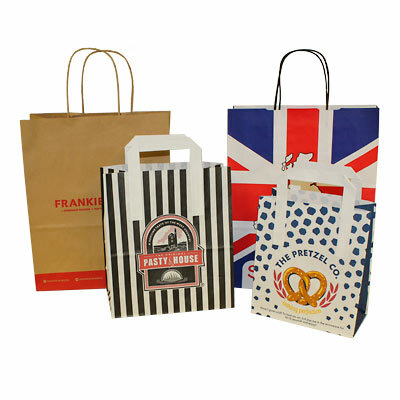 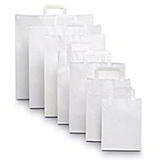 Advertise your company and achieve superior presentation with our custom printed paper carrier bags, suitable for fashion, gift, food and department stores. 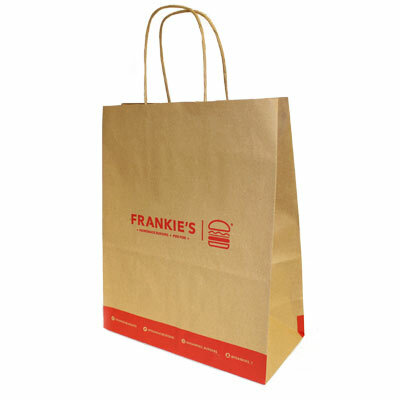 Available in a range of popular sizes they are manufactured from quality brown or white kraft paper and feature a twisted paper cord handle for a quality feel. 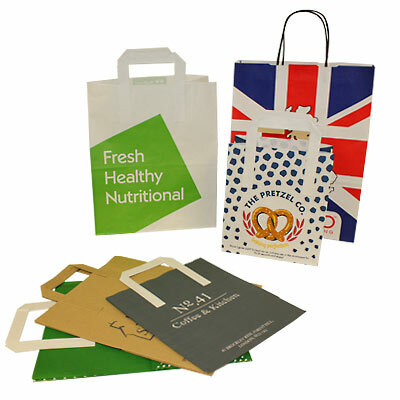 Simply supply us with your logo or design and we will do the rest, including delivering it directly to you. 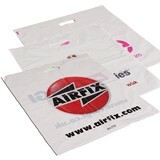 Prices shown are for double sided, one colour print. 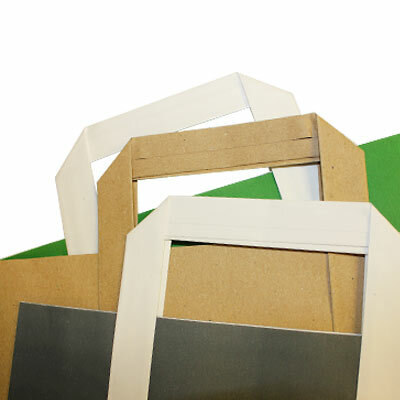 Origination will be charged at a cost and you can select up to 4 print colours. 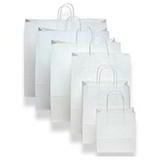 Simply call us today for a quote or to place your order.